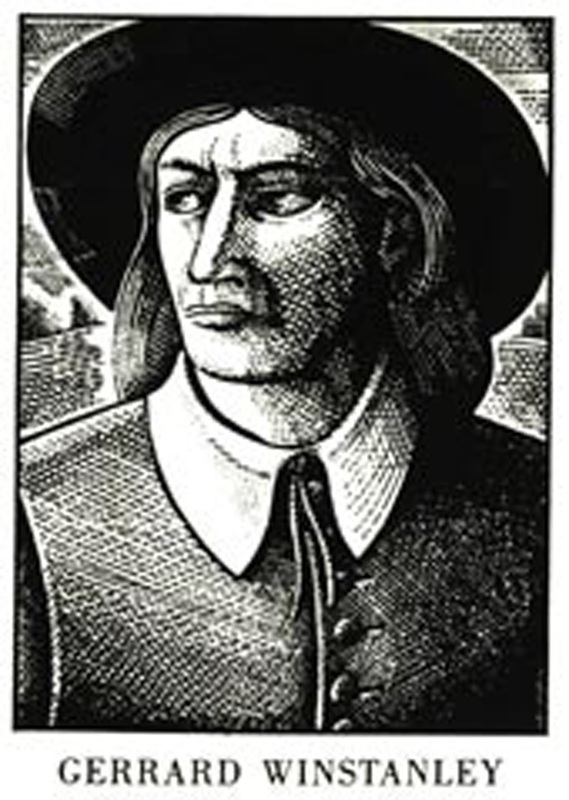 The Diggers and their key spokesman Gerrard Winstanley were a fleeting product of the English Revolution whose ideas have been influential among religious and political radicals ever since. The evidence suggests that Winstanley later became a Quaker. What were the key characteristics of the Digger religious vision? Winstanley linked the fall of humanity with the emergence of private property and argued that with the restoration of Israel all would again enjoy the fruits of the earth as a common treasury (Bradstock 2011, p.55). He believed that the prelapsarian community would be re-established when Christ/Reason came to reign once more in human hearts and private property was abolished (Bradstock 2011, p.60). Winstanley’s theology was based on a belief in Christ/Reason as an indwelling spirit, a “living power of light that is in all things." Christ/Reason is an active force of love, justice, and wisdom which preserves of the whole creation. Without it there would be madness and disorder. Winstanley defined Christ/Reason as a moral guide within people which they could either attend to or ignore. He called for an end to all outward forms to allow Christ/ Reason to rise up in people and all things as a second coming. Here we see a form of pantheism in which the creation is "the clothing of God" (Sunderland 1991). Winstanley was convinced that moral reformation and freedom would follow not from changing institutions but through Christ's Second Coming within people (Sutherland 1991). He wrote “when (Christ) hath spread himself abroad amongst his sons and daughters, the members of his mystical body, then this community of love and righteousness, making all to use the blessings of the earth as a common treasury amongst them, shall break forth again in his glory, and fill the earth, and shall be no more suppressed: and none shall say, this is mine, but every one shall preserve each other in love.” (Bradstock 2011, p.63). Winstanley stressed the immanence of God, who could be known by all without the aid of church or clergy. Each person has the capacity to judge all things by experience (Bradstock 2011, p.63/4) He asserted that those who worship God as others tell them to, or imagine that God is in heaven above them, do not see that God is actually a light within them. He used the word Reason for God because "I have been held under darknesse by that word [God], as I see many people are" (Sunderland 1991). For Winstanley, the clergy, landowners and lawyers were an unholy trinity upholding the present iniquitous system (Bradstock 2011, p.68). As we have seen he laid great stress on individual experience against the presumptions of the clergy and scholars. He desired for everyone to speak "his own words, not another mans as the Preachers do, to make a trade of it." He railed against collecting tithes while many lived in poverty and accusingly exclaimed that "Priests and zealous professors" worshiped the devil. In an introductory letter to the tract Truth Lifting Up its Head, Winstanley asserted that clergy and scholars did not have "the alone priviledge to judge; for the People having the Scriptures, may judge by them as well" (Sunderland 1991). Like many other radical movements Winstanley gave priority to the Spirit over the letter. Regarding the assertion that the Scriptures are God because the Word was God, Winstanley answered that if God is the written word, then He has been torn to pieces by "the bad interpretations of imaginary flesh." Winstanley interpreted the spirit as the Word and the Scriptures as the testimony of men about that spirit. He encouraged his readers to "learne to put a difference betweene the Report, and the thing Reported of." He argued that without the spirit, the Scriptures were worth considerably less. He called the writings of the Apostles "reports or declarations" of the Gospel. The writings themselves were not the Gospel. He suggested that "declaration or report of words out of the mouth or pen of men shall cease; but the spirit endures for ever; from whence those words were breathed: as when I have the thing promised, the word of the promise ceases” (Sunderland 1991). Winstanley interpreted biblical narratives as metaphor for current inward and outward experience. For him the Bible stories continued to be lived out in contemporary struggles between rich and powerful, poor and weak (e.g. Cain continued to murder Abel over and over again). He felt that the ‘Adam’ dwelling in each person would be overcome by the ‘Second Adam’ which is the power of Christ. This was a struggle between flesh and spirit, darkness and light played out both within each individual and within society (Bradstock 2011, p.58). 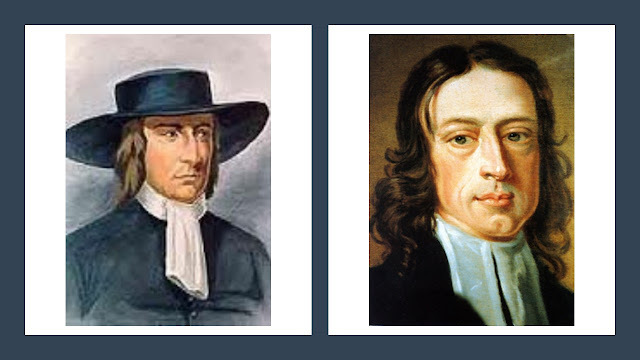 Winstanley described this internal conflict over who governs within a person as a struggle between two powers, Jacob and Esau, "the two Adams in mankind." He urged his readers to internalize biblical history. Adam and Christ, Cain and Abel, Abraham, Moses, and Israel were to be seen within (Sunderland 1991). Similarly, heaven and hell were present states: heaven being God’s order, and hell the conditions men and women have created for themselves on earth (Bradstock 2011, p.68). In 1664 early Quaker minister Edward Burrough informed Margaret Fell that “Winstanley says he believes we are sent to perfect that work which fell in their hands; he hath been with us” (Bradstock 2011, p.72). Winstanley's theology contained many elements that were consistent with that of the early Quakers. This included his denial of external forms, the raising of the Holy Spirit over the letter of the law or Scripture and his vision of salvation coming by a spiritual rising up of Christ in all men and women rather than through a physical return. When he and William Everard met General Fairfax they refused to remove their hats because he was ‘but their fellow creature’. They also undertook not to use force even in self-defence (Bradstock 2011, p.54). Fabulous stuff, Stuart. I have been thinking much lately about the letter that kills and the Spirit who gives life, and it seems to me that in their pronouncements on other people's morals (a word which never appears in Scripture! ), most evangelical scholars/writers seem never to have read that verse. Thanks Veronica! I do think it's helpful to hear alternative voices like those of Winstanley and the Diggers to balance the discussion.